I’ve just poured myself a glass of ruby port when I call Paula D. Ashe on Skype. For some reason, the flutter of nerves I always get when I do an interview isn’t quite as powerful as it typically is. I tell her this moment is the most clarity I’ll have for the rest of the call, as I don’t drink often. Paula and I have known each other on social media since October 2014 where we share and comment on each other’s successes in and out of publishing, and our frustrations with the world at large. Interspersed with cat videos, of course. Originally, I asked her about a year ago for an interview, but because of crazy schedules, it’s only now that we’ve been able to sit and chat. When she picks up the call, her voice is warm and sweet, with a touch of crispness, like apple pie made from the tartest of fruit. We gel right away, chatting like friends from back-in-the-day, and the rest of the interview slips away while I barely realize it. Kinda like the port. Paula works as a professor of English at a community college and is a Ph.D. candidate currently working on her dissertation. She’s also a horror nerd, a comic book geek, a closet metal head, a book-hoarder, an animal enthusiast, a Hellraiser obsessive, and probably the nicest pessimist you’ll ever meet. In terms of writing, I’m a writer of ‘dark fiction’;: horror, dark fantasy, [dark] sci-fi, and [dark] police- procedural thrillers. I’m best known for my short fiction; which has been called ‘literary horror’. I aim to write what my great writer/musician friend Christopher Ropes calls “art that does violence to complacency”. I’m probably misquoting him slightly, but that’s about the most accurate description of my work I’ve ever heard. One of the first questions I ask Paula is as an academic, what inspires her to write horror? How do scholarly interests translate into dark fiction? I’m a Ph.D. candidate in American Studies with a concentration in Sociology and an emphasis in Popular Culture and New Media. 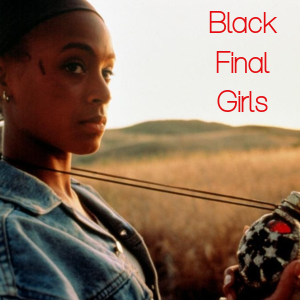 My interests are in black feminism and digital cultures, namely how black feminists use social technologies to advocate on behalf of black women. I don’t know — and I’m not sure if I’ll ever know — what exactly inspired me to write horror. I just have always been fascinated by ‘scary stuff’; namely, the terrible things that people do to each other. What did she read as child? Books about the Spanish Inquisition (which no one expects) and the Salem Witch Trials and Medieval torture techniques used during the Crusades. 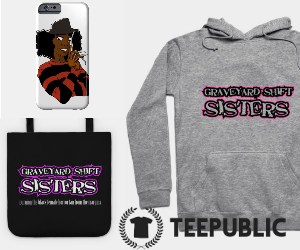 I’d say that may have planted the seeds for loving horror. I used to think that horror was a way for me to work out my many anxieties, and it is, but I think it also aligns well with my zeal for social justice. Most of the terribly violent things people do to each other — whether individually or collectively — have some connection to the stratification of power, histories of marginalization and exploitation, and, ultimately, resistance. 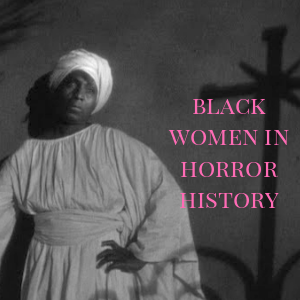 In addition to her sociological interests in real life horror, Ashe is also a fan of horror media, so her academic interests in popular culture materialize as blogs, articles, and conference presentations about Sleepy Hollow, Hellraiser and Hellbound: Hellraiser II, American Horror Story: Murder House and more. What I love about Paula’s work is her distinctive voice—clear, no nonsense and raw. Rich without being flowery. Intelligent without alienating the reader. I can imagine being in one of her classes, listening to her speak about horror movies and television shows. How does she do it? 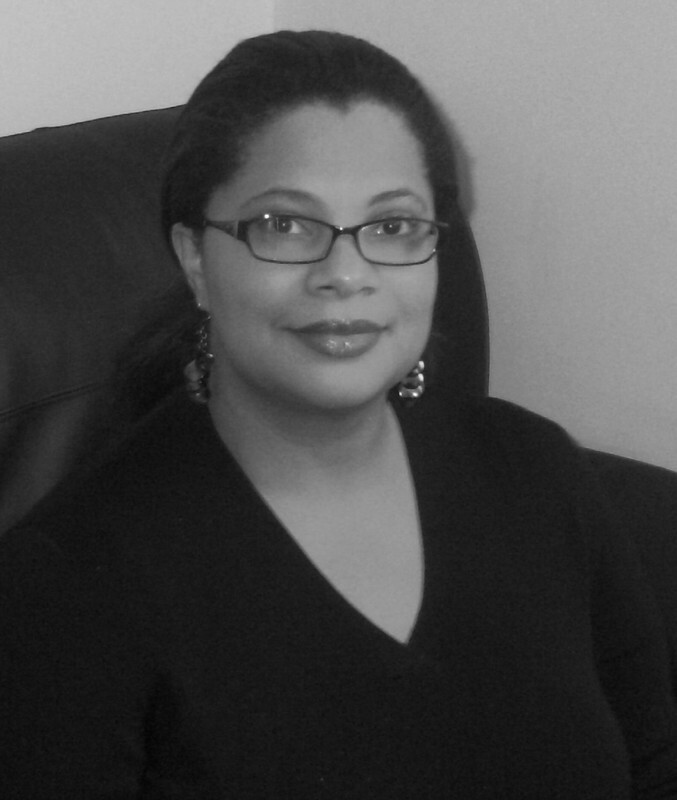 How can a writer, especially woman of color maintain a voice? For Ashe, it’s about writing what’s not in vogue at the time. Weird fic is in, you know all those straight white guys—Lovecraft, Ligotti, Aickman. You can write that, but place it in a different locale. Write from a female perspective or from a queer perspective. I love Lovecraft, despite his racism. When I ask why she says that it’s how his description of existential dread and dread of existence parallel current mental health issues, especially depression and anxiety. Speaking of writing form a queer perspective, how important is it for you to create Black female characters or LGBT characters in your work? It is essential. 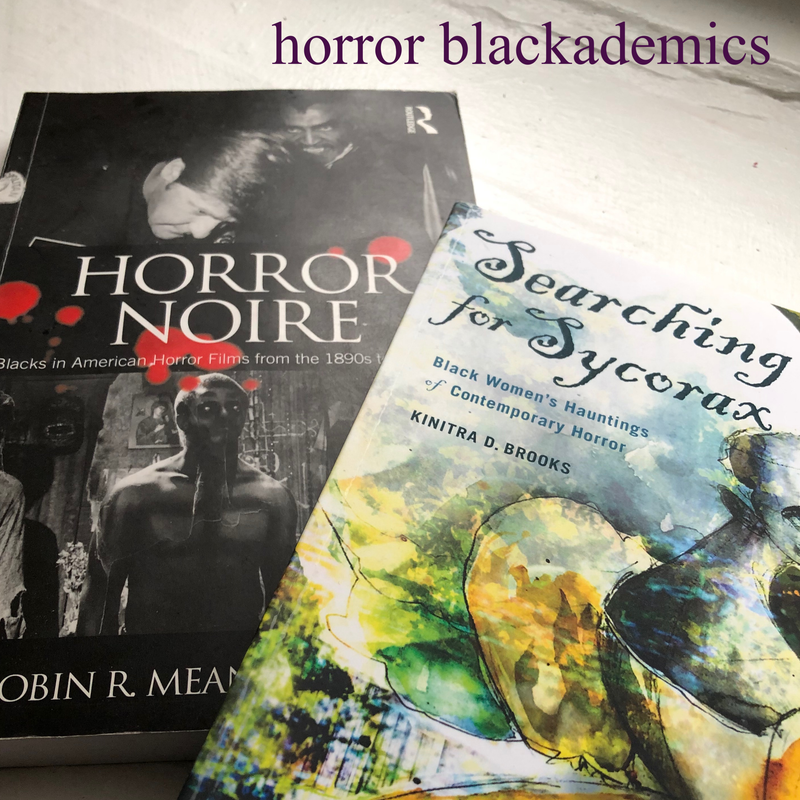 Writing about black characters (especially female characters) and/or queer characters was something I struggled with for a long time – I was in my early-twenties and thought I knew everything -- and I didn’t want those issues to ‘distract’ people from the stories themselves. I matured, and realized that as a working class black lesbian, I really don’t have the privilege to pretend that there’s any such thing as ‘apolitical fiction’. Because there isn’t. Anyone who says otherwise is intentionally or unintentionally, lying. Then I ask the question I almost always ask. 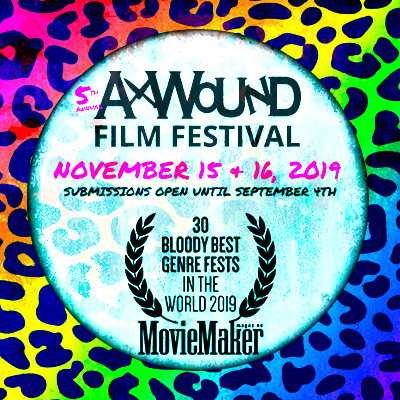 How has the horror community at large received your work and do you feel your work has been received differently? Her response is a pleasant surprise. Overall, my work has been received positively (which is always a happy surprise). My fiction has been published in several anthologies and I’m fortunate enough to have received some attention in the form of an editor’s choice award in one collection, a recommendation for nomination for a Stoker (I didn’t get the nomination, but being recommended was super cool) and to show up on two of Ellen Datlow’s Year’s Best Horror honorable mention lists. I think my work has been received differently probably only because it’s so extreme. My work (especially my short fiction) isn’t for everyone. I keep saying that. I should probably stop saying that. It’s good to know that your work isn’t for everyone. Knowing that can strengthen your voice and help focus your work. 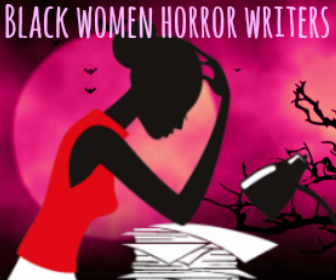 However, many black writers of dark fiction struggle with finding fans in other blacks. 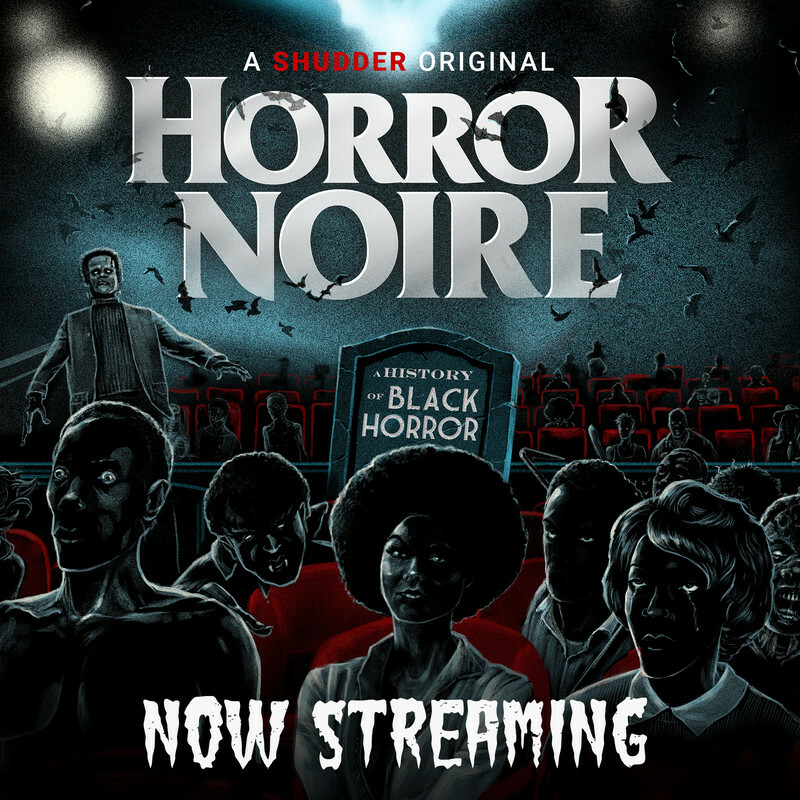 Are blacks afraid of horror? We’re used to it. That horror. That fear. Some people don’t want more of that in their lives. Those of us that acknowledge a love of horror read or watch it as a way to control fear, even try to understand it. I grew up in a predominately black ‘hood and felt safe for the most part. Everyone was black so there was no real racial hierarchy. It was racially homogenous. Gender stood out. But now, I ask my wife to drive when we’re in rural Indiana and Ohio because driving while black is dangerous. This may not be your reality but it is the reality of so many. Fiction can help build a bridge for those who have different experiences. If you can let yourself experience that horror, you can understand why people behave the way they do in certain situations. I’m beyond flattered to hear that my collections Spook Lights I and II made the list. I almost always ask is what’s missing in dark fiction. So what would Paula Ashe like to see? As I mentioned, I really like the direction that dark fiction is taking in terms of the ‘weird’ fiction. The long shadows of Aickman, Chambers, Ligotti, and Lovecraft have darkened so many minds and hearts and I really love this sort of…sinister spirituality I’m finding in a lot of newer horror. I’m also a fan of diversity, like the fact that people are putting forth the effort to tell stories about people in horror stories who aren’t straight white men. I think we have people like Chesya Burke, Laird Barron, Nnedi Okorafor, Maurice Broaddus, Colson Whitehead, Tananarive Due, Linda D. Addison, Christopher Ropes, Lori Titus, Crystal Connor, Eden Royce, Wrath James White, and so many others who are exploring what I like to call, ‘the horrors of hegemony’. Not to say that straight white dudes haven’t done this, they have obviously – but writing it from the perspective of those members of ‘marginalized’ groups adds another layer or dimension to the stories told. So, I’d like to see more ‘weird’ fiction that plays around with the very concrete and material markers of identity. For some, weird fiction is sort of ‘the great equalizer’ of horror fiction because it’s about ‘existence’ and not ‘identity’. Though, philosophically or at least ontologically, I’m not sure you can distance the two. Anyway, I’d like to see more of that. I’d like to see weird, Cthulhu-esque void-babies burping themselves in and out of existence alongside protestors at Standing Rock and/or a Black Lives Matter rally. I’d like to see stories of an ancient woodland nightmare come to life to terrorize a nice multi-racial lesbian family on vacation in New England. I’d like to read about a group of wealthy titans of industry visiting a plantation turned tourist resort get brutally murdered by the vengeful spirits of tortured and mutilated former slaves. I mean, if we’re gonna get weird, let’s get WEIRD. I’m the one laughing this time, knowing I’d read the hell out of all of that. When I ask her to name one of her works for a new reader to begin with, she says The Mother of All Monsters. It’s a solid piece of writing, it’s accessible, and it’s available as a standalone piece on Amazon for Kindle. Also, it’s the only story of mine (so far) that my mom really likes. 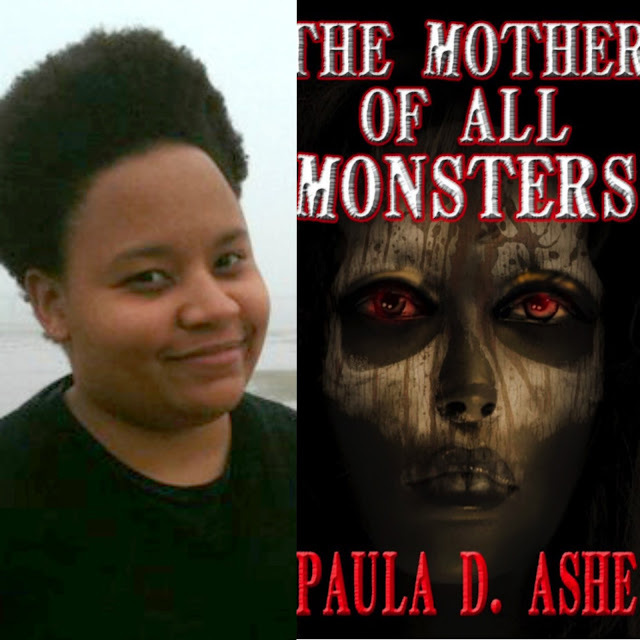 My call with the fierce and funny Paula Ashe is coming to a close. My glass is empty and I feel as though I’ve caught up with a good friend. You know the one. The one who gets you. The one who’ll send you a cute cat video when you’re down. The one who understands, supports, and shares your vision of horror. If you’d like to see more of Paula, check out her in need of updating website, Facebook, Twitter, and her Amazon Author Page.